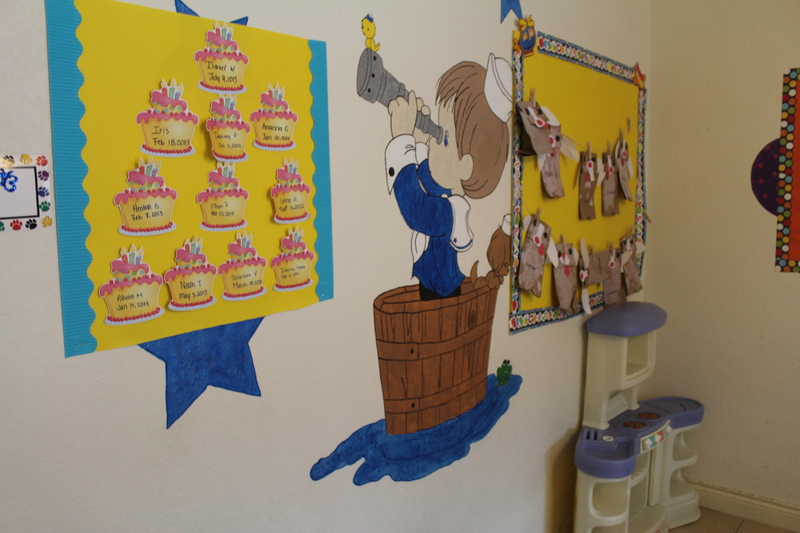 Our Pre-toddler group are our children from 12 mos. to 17 mos. We know quite well that when a baby is just about to “stop been an infant” and become a toddler, there are notable and exciting changes that take place with the baby. We at Luv-N-Care know how to handle the changes for the betterment of your baby. Take for instance the notable strength and activity the baby develops, the irregular feeding pattern. It is also at this age ( around 12–18 months) that some babies get weaned, and hence, now easily detached from the mother. With us, you will learn how our teachers are keen on babies at this age. This is the age they are most receptive of information and simple gestures. Our teachers grab this chance of age to really instill vital info to the babies. The body energy your kid has at this age is wittingly harnessed by the teachers and convert it into useful activities. It is at this age a baby can exhibit his abilities and likes, though mildly, but our teachers at Luv-N-Care can spot this and work towards developing it. We have among the best things for pre-toddlers, introduction to toddler rooms. In these rooms, there are fun activities like toys, games and game puzzles, books and crayons, among others. But the aim is to expose the baby to various fun activities for our teachers to pick out and note down each kids main interests. From the compliments we get from visitors and parents, and from our strict policies on cleanliness and safety, we have the best environment for your pre-toddler. Our teachers make sure the health and safety of your pre-toddler is put on priority. Any danger, be it; sharp objects, plastic bags or anything else hazardous, is kept away from pre-toddlers at Luv-N-Care Learning Center. For a friendly quote on our pre-toddler daycare contact us! luvncaretoo@gmail.com *Free Registration when you mention finding us online! Luv-N-Care has an outstanding staff and is always accommodating my child’s needs even with short notices. Rates are affordable and the center is always clean and welcoming! Keep up the good work! !